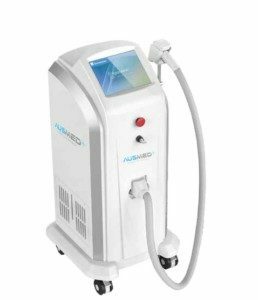 Our latest Laser Hair removal unit, the Ausmed Medrazor 808 Diode Laser is cutting edge, latest technology. MedRazor offers the safest and most effective laser hair removal method with diode laser technology which is regarded as the golden standard of painless permanent hair reduction treatment. The amount of treatments can vary from person to person but usually 4-6 treatments will give you a reduction of up to 80-90% and then maintenance treatments 2~3 times a year. If there is a hormonal imbalance you may be required for more maintenance treatments. Laser has been around for a long time now and this new technology is making treatments safer than ever. The MedRazor Diode device is preprogrammed for specific skin types and different parts of the body, so the risk of any side effects is minimal. Call 96630845 Emily or Kristy for your free assessment and planning.